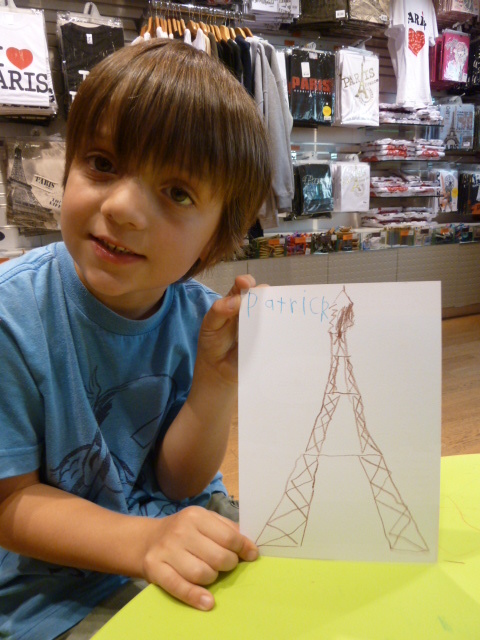 The Eiffel Tower by Patrick. 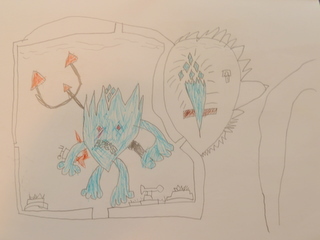 In the gift shop on the second floor of the Eiffel Tower they had a drawing competition to design your own Eiffel Tower. 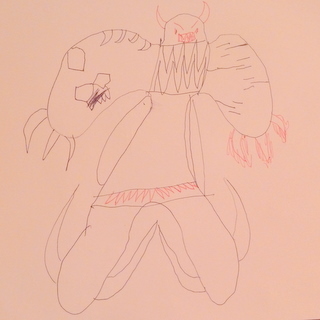 This is Patrick’s drawing. Round the World Schooling for 12 months. 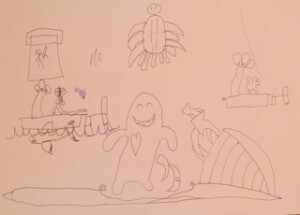 Patrick has continued to draw the world as he travels through it. 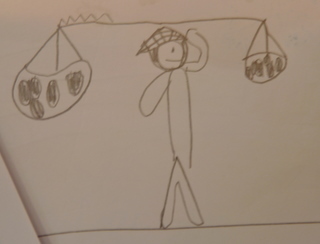 Please read on to see his latest exhibition, inspired by Vietnam and other things of interest to five year old boys. Vietnamese lady carrying her baskets with Easter eggs in them! Street corn (bought for Patrick to eat in Hoi An, Vietnam). 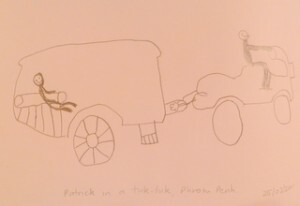 Patrick has always been a keen artist and since travelling he has captured some of his memories in his drawing book. 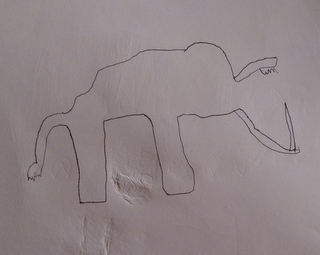 'A hippopotamus', inspired by Taman Safari in Indonesia. 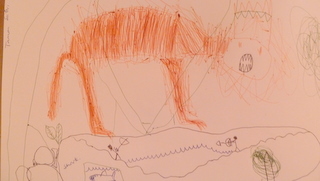 'A lion' inspired by Taman Safari, Indonesia. 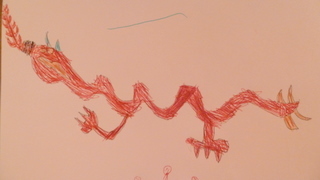 'A Chinese New Year dragon'. 'A battling guy with super sharp fingers and fire fingers'. 'Patrick having a tuk-tuk ride in Phnom Penh'. Me, pushing 2 empty containers down the hallway to the study. Five year old Finn, Patrick’s friend, sticks his head out of the room and asks “What are they for?”. My reply, “Oh, just to pack stuff in”. Patrick announces matter of factly, “Because we are going round the world”.